Action Mental Health depends a great deal on corporate support to help fund our many and varied services delivered to all age groups right across Northern Ireland. And this week, during Children’s Mental Health Week, we are delighted to hear the announcement by one of our corporate partners, Danske Bank, that they have raised £130,000 for our Healthy Me programme over the past two years. 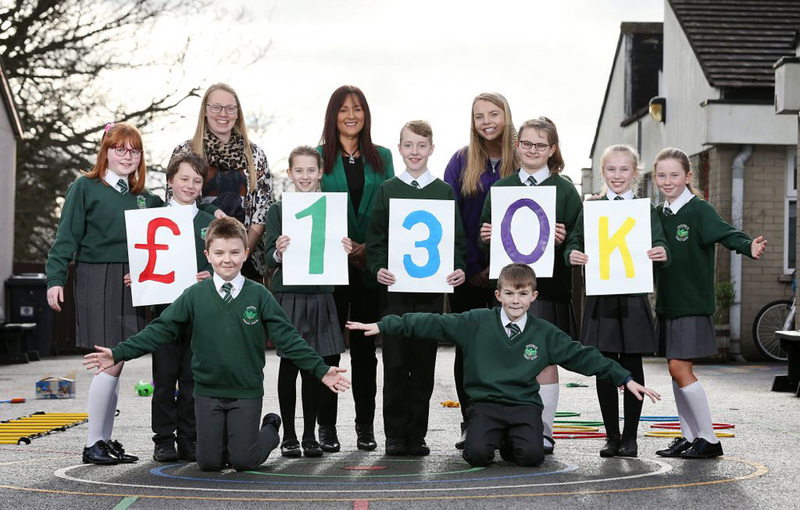 The money was raised by Danske Bank’s employees and customers since 2017 when it began to actively support Healthy Me, which aims to positively promote mental health and social and emotional well-being in 8-11 year olds. To date, the £130,000 has helped bring Healthy Me to 1,928 children and 374 adults in 2018 and will reach a further 1,375 children and 195 teachers and parents this year. Aisling Press, Head of Branch Banking at Danske Bank said: “We believe that as the largest bank in Northern Ireland we have a responsibility to contribute to the local communities we serve and play our part in addressing issues that affect wider society. Action Mental Health’s Chief Executive, David Babington added: “Just last month, the Royal College of Paediatrics and Child Health Ireland reported that children and young people’s mental health in Northern Ireland remains at crisis point. While this is extremely worrying, it reinforces the need for early intervention and educational programmes like Healthy Me. “The theme for Children’s Mental Health Week 2019 is ‘Healthy: Inside and Out’ something that is reflected in our programmes for children and young people. We focus on promoting mental well-being alongside physical well-being, encouraging participants to engage in the five ways to well-being, to help support the development of coping skills and emotional resilience. The partnership between Danske Bank and Action Mental Health is set to continue in 2019 and includes volunteering, education initiatives for the charity’s clients and wellbeing support for Danske employees.